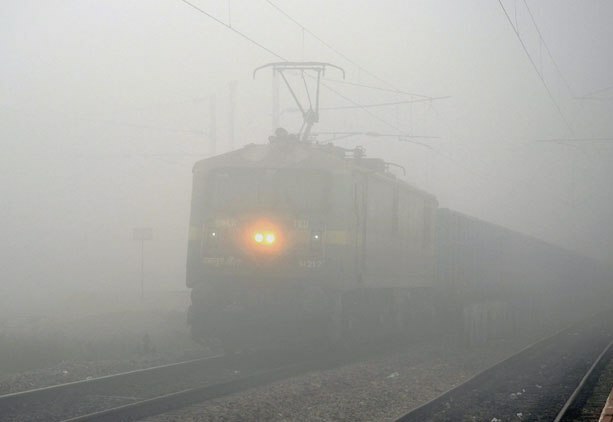 New Delhi, Jan 12: Fog in northern India on Tuesday led to the cancellation of 71 trains, Northern Railway said. Another 10 train were said to be running late. But flights here were unaffected, a Delhi airport official said. The trains running late include Howrah Express and Rajdhani Express, a railway statement said. “The sky is likely to remain clear throughout the day,” the India Meteorological Department said. The minimum temperature in Delhi was 8.5 degrees Celsius. The maximum was likely to hover around 25 degrees on Tuesday. Humidity was recorded at 95 percent at 8.30 a.m. while visibility stood at 1,000 metres, the Met office said.